There’s a new bug found in iOS 7 and this time it deals with iMessage. 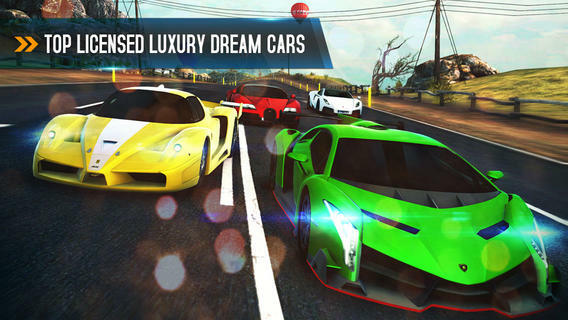 Users claim that there’re some issues with sending messages. 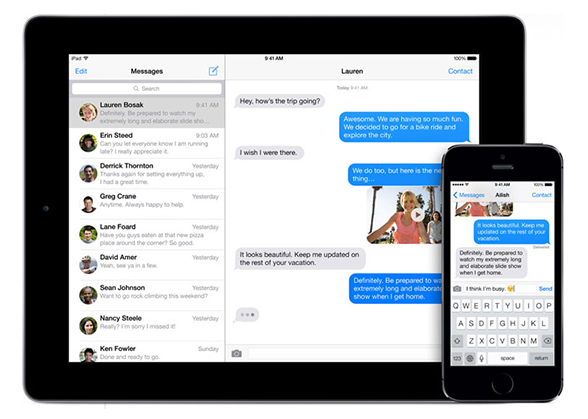 Looks like all those who have problems with iMessage have to wait for another iOS update. iOS 7.0.3, by the way, is expected to be released next week. Microsoft has launched another trade-in program. 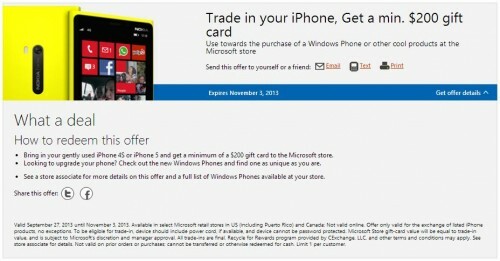 This time the software company offers a $200 gift card for all those, who will bring their “gently used” iPhone 4s or iPhone 5 to one of the Microsoft’s retail stores in the USA, Puerto Rico and Canada. 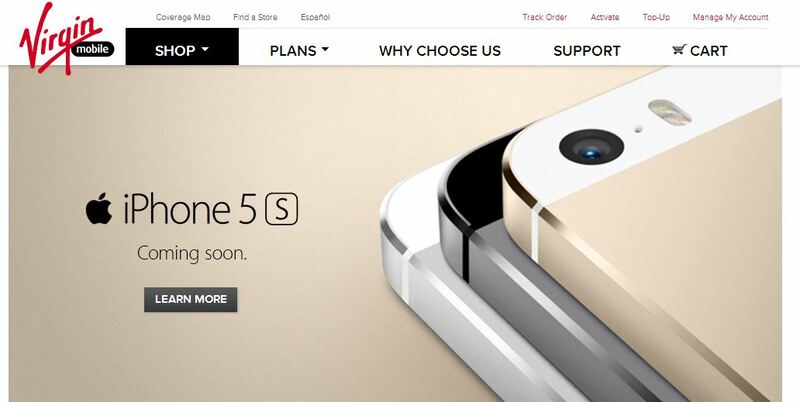 Virgin Mobile will soon carry the new Apple’s flagship - iPhone 5s - as well as the mid-priced plastic iPhone 5c. 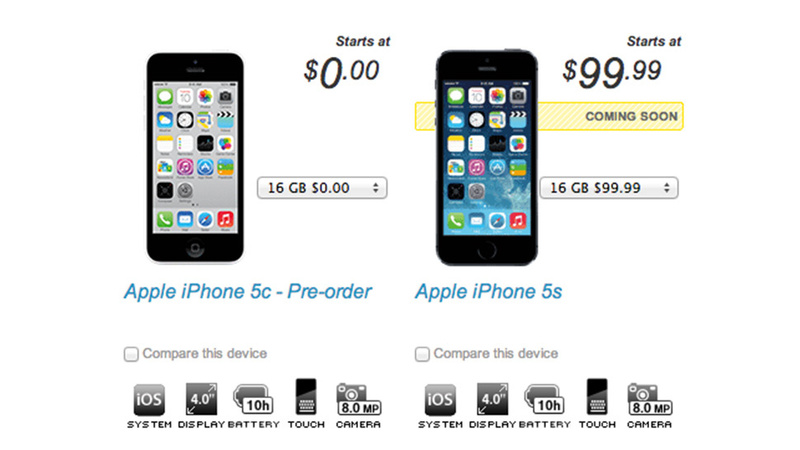 According to the carrier’s recent announcement on Twitter, both devices will be available starting from October 1st. 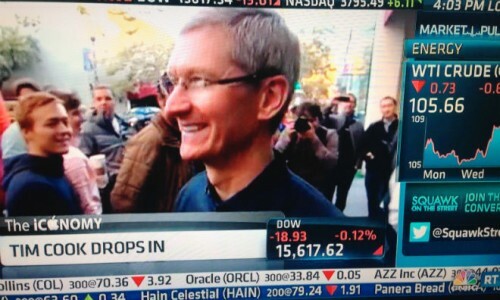 Tim Cook arrived at the Palo Alto University Apple Store on Friday morning, ahead of the iPhone 5s and iPhone 5c launch. According to people standing in a line, he greeted each person and then went on his way. 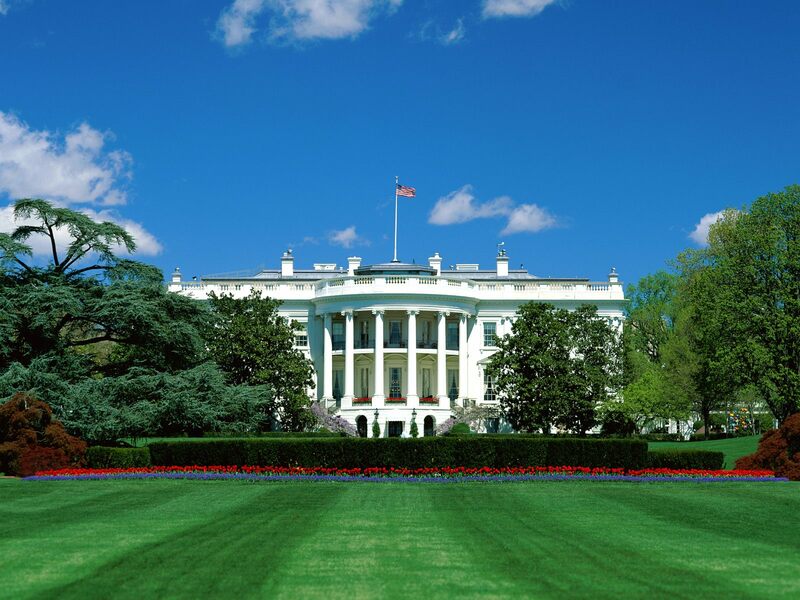 The U.S. government has recently filed a petition with the Federal Communications Commission (FCC). According to The Washington Post, this documents suggests that all the American wireless carriers should unlock all the devices they sell. 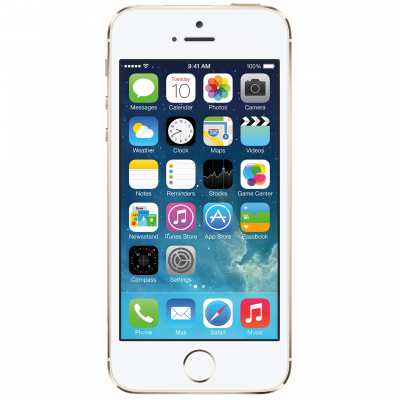 According to information provided by llThingsD, some sources close to mobile carriers claim that the stock of the iPhone 5s will be very low during its launch on Friday, September 20th. Sources at multiple U.S. carriers said that the inventory of the new phone is significantly less than expected. 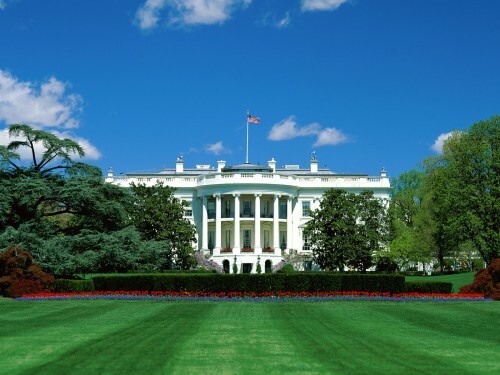 “We will have grotesquely unavailable inventory,” was how one carrier source put it. Another carrier confirmed 'extremely disappointing shipments' from Apple. However, it was stated that the demand for the iPhone 5s is likely to be slightly lower than expected. It seems the bright colors of the low-cost iPhone 5c have captured eyes of customers. The new iPhone 5s and iPhone 5c will start selling in stores on September 20th at 8:00 a.m.
Goldgenie opens pre-orders of the new version of iPhone 5S, made of 24 carat gold. There are five different styles available for purchase: Swarovski Style Bezel Top and Bottom Logo Elite, Swarovski Style Bezel and Logo Elite, Swarovski Style Bezel Elite, Elite, and Edition. 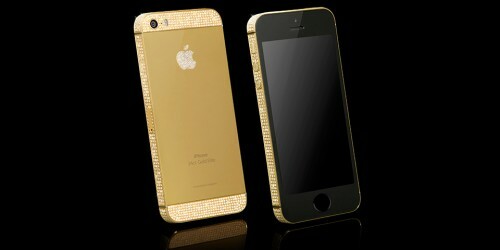 This is a new image of iPhone 5S, recently presented by Apple. It boasts Swarovski crystals on its sides, top, bottoms and logo embellished in either 24 CT. Gold, Rose Gold or Platinum. The iPhone 5S is SIM free and factory unlocked, so it is compatible with any network around the world. 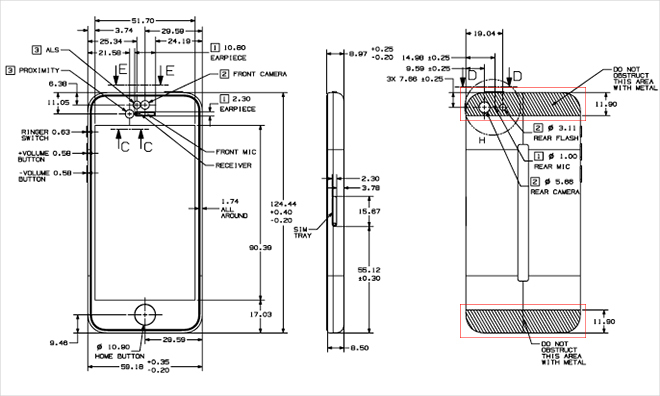 Apple has revealed highly detailed schematics for its forthcoming iPhone 5s and 5c, so that the third-party case manufacturers can use them to design the accessories that doesn’t prevent from using all the smartphones’ features. Having an idea about the internal components layout is very important. 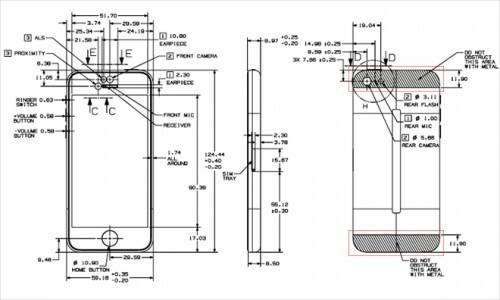 While the iPhone 5c is known to have a polycarbonate body with a steel-reinforced frame that doubles as a multi-band antenna, the drawings show the design requires radio transparent windows at the top and bottom of the chassis. All the schemes are published to Apple's Developer Center, so if you want to take a look at the full-sized images, here’s the link. As it was stated at the media event on Tuesday, Apple had increased the battery capacity of the new iPhone 5s and iPhone 5c. Due to such improvements, both devices can boast of about 10 hours of talk time on 3G and 10 hours of internet browsing using LTE. As to the standby time, it is now increased to 250 hours. Compared to the iPhone 5 capabilities (8 and 225 hours respectively), the iPhone 5s’ and 5c’s results show that the engineers from Cupertino did a good job. The OS X Mountain Lion v10.8.5 Update is recommended for all OS X Mountain Lion users. It improves the stability, compatibility, and security of your Mac. According to MacRumors, Microsoft has begun a new trade-in program - if you bring your iPad to one of the company’s retail stores, you will get a $200 gift card. Such promotion is aimed to boost the Microsoft Surface RT and Pro sales, which are very weak now. 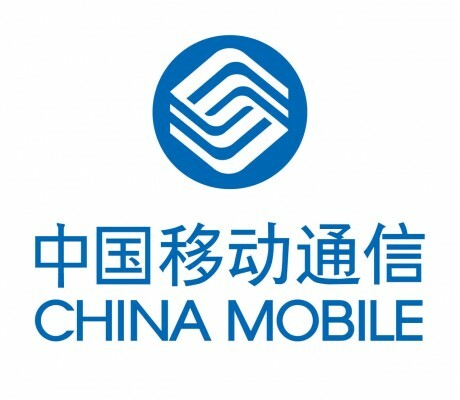 According to WSJ, Apple has obtained the final license essential for the launch of iPhone on China Mobile's network standard. The approval means that Apple is most likely to introduce the iPhone on China Mobile, the world's largest cellular carrier with 700 million subscribers.